A holiday at Ballynacuaig is a comfortable relaxing experience, set in the tranquillity of one of the most beautiful parts of the West of Scotland. Ballynacuaig (Gaelic for House of the Cuckoo). 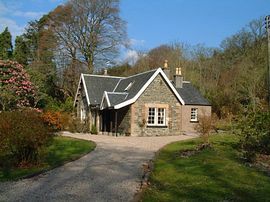 This cottage is affectionately known locally as the kennels cottage, as it was occupied for many years by the estate game keeper and has the old kennels building nearby. With virtually everywhere that you walk having wonderful views, wildlife in abundance, and a very slow relaxing way of life makes this part of Argyll ideal for a holiday. The more energetic visitor can enjoy golf, water sports, boating , fishing, pony trekking or simply flying a kite on the beach. This charming cottage has one double bedroom, one single bedroom, bathroom, shower room, large fully fitted kitchen-dinning room and comfortable lounge with an open fire on the ground floor. On the first floor, via a small spiral staircase are two further bedrooms (one twin and one single) with attractive exposed beams. 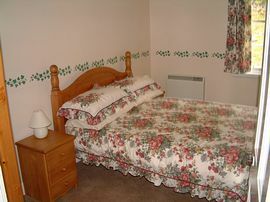 Sleeps 6 in total. 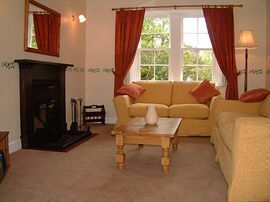 Ballynacuaig has been completely renovated and re furnished. 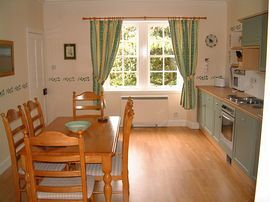 We have furnished this cottage retaining the period charm yet incorporating the comforts of modern everyday living. Carradale is a 3 hour drive from Glasgow, approximately 130 miles, past Loch Lomond, and down Loch Fyne to Kintyre. 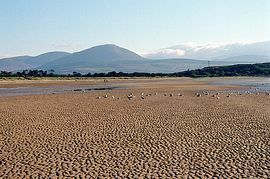 Carradale is located on the east side of the Kintyre peninsula in Argyll and is 25 miles south of Tarbert. 5 miles south of Tarbert turn left on to the B8001 road (signposted Skipness and Carradale) and then the B842. Follow this road for 20 miles to Carradale. Alternatively, a longer route is by taking the A83 to Campbeltown (38 miles) and on immediate entry to the town turn left at the B842 and follow this road for 16 miles to Carradale. There is also a regular bus service to Campbeltown from Glasgow. A twice daily flight operates from Glasgow to Machrihanish, car hire available in advance.